Most kids are fussy eaters… this we all know! So how do you get around this little issue and get your little monster to eat, and eat healthy? 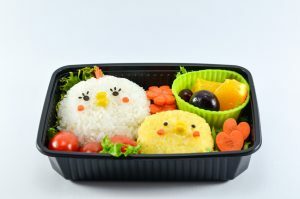 You design the food in such a way that it is FUN for them to eat. What is their favorite toy? A pirate toy? Or Barbie toys? Perhaps Spiderman toys? 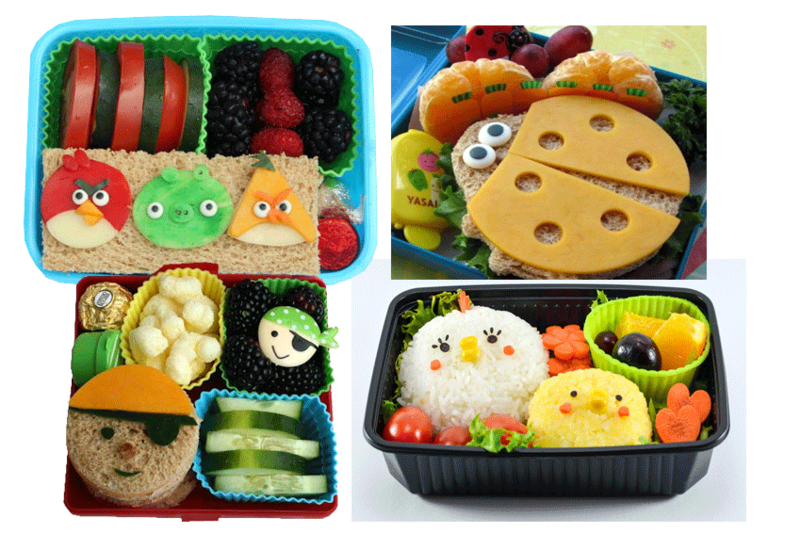 Use their favorite toy to give you ideas on create exciting lunchboxes that they will eat! • Buy lots of different shape cookie cutters, and mini jelly molds – the bigger the better. • Full up the fruit and veggie basket with cherry tomatoes, cucumber, carrots, lettuce, grapes, apples, bananas, strawberries, blue berries and melons. • Make sure you have other healthy ingredients like whole wheat wraps, ham, cheese and sausages. The first idea for you to make is the one pictured above. Using the rice from the night before, use your new jelly moulds to shape little animal heads. Then, using everything from grapes to corn and carrots, decorate the heads with eyes, noses, beaks.. whatever you fancy. Then cut out shapes from the carrots and add them into the lunch box for extra enticement. Do you have a pirate fan? Make a peanut butter sandwich and then cut out a large round shape with your cookie cutter. 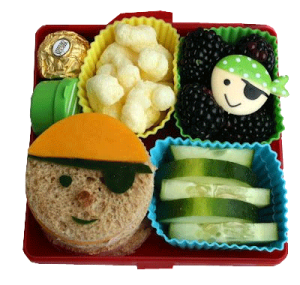 Then cut out a large slice of cheese for the pirate’s bandanna and use everything from grapes to cucumbers to make eyes, nose etc. 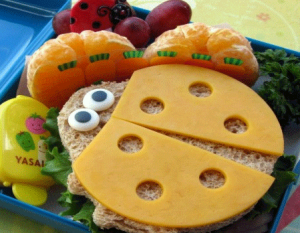 Another fun sandwich you can make for little girls is a ladybug. Using the same concept as the pirate, you can cut the cheese out in the shape of wings. If you don’t want to use sweets or icing for the eyes, then substitute it for fruit cut up. 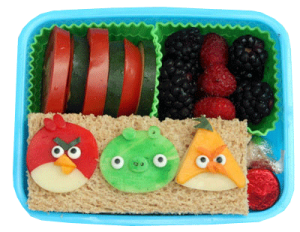 Now what child can resist these sweet little Angry Birds? Stack two slices of cut bread as a base… then put the toppings on top. When your little one comes to lunch time, they simply take the bottom slice of bread and put it on the top to make a yummy filled sandwich. The toppings can be made from cut out cheese, cucumber, and icing eyes. Well I hope that got you feeling creative! Surprise your little one tomorrow at school with one of these gorgeous lunchbox ideas, and see if their lunchbox comes back home empty.